Ellie's Arty Party - How Art Is Aiding Conservation! A few months back, we were contacted by a wonderful volunteer named Ellie. She had discovered the Samboja Lestari Orangutan Volunteer Project and plans to join Kate and the team next year. However, she wants to bring more than just herself to the table and has thought of a unique initiative to try and raise funds for the project, and as she is studying art, she plans to do this by creating an orangutan painting to draw awareness to the cause. This is just one of Ellie's stunning works. Find more by following her on Instagram: @ellieoliverart. First of all, what is your message? We need to contribute more, make more of an effort to save the animals we made endangered in the first place. How do arts and conservation intertwine, and what made you decide to take this route of study? I feel that from a first glance it is hard to understand how the arts can help conservation, but as you look more closely you realise it is actually intertwined through photography, videography, media and marketing. They are all big contributors to getting the message across. Ever since I was little, I have been obsessed with animals and I feel all animals deserve mutual respect and as much compassion as we would treat humans with, because really, what is it that makes us so special? The answer is simple: nothing - other than a quicker rate of evolution maybe. I always wanted to be a zoologist so I could observe the natural world in more detail, but biology was not my forte. So, I decided on art, and since volunteering last year in Sri Lanka it has led me to try combining the two so I can live out both my passions. I believe if you are not painting something you are passionate about, then why paint at all? Mother and baby orangutan at Samboja Lestari enjoying some ice block enrichment. There was no set inspiration - like a documentary or an advert on TV, but just a sense of 'we need to do better'. I was looking for a place to volunteer again but I wanted to make sure it was with a reputable company that has a focus on conservation. Then I came across The Great Projects and thought it was the perfect fit. Volunteering for an orangutan project is on my bucket list, and so I thought I would try and do it next year. As a species ourselves, we have the knowledge and capability to not destroy all other inhabitants of the planet, although, that is all we seem to be doing. I knew that the Bornean orangutans were critically endangered and have always loved them, so when it comes to the question of why Samboja Lestari, it was because there was something special about this project that just drew me right to it. What is it that draws you to orangutans? When you look into an orangutan's eyes it is the same as looking into a person's. You can see the thoughts behind their eyes, almost trying to judge what to make of you. There is a certain sense of awe you get when looking at a great ape. Also, I am only eighteen, and when I look at orangutans for some reason, I feel a sense of wisdom that I would normally feel only when looking at my Grandpa. They demand respect and we should give them that. Do you have any conservation idols? My biggest idol at the moment is John Banovich. From his art, he managed to donate $70,000 to conservation and has had the opportunity to study the behaviour of wildlife throughout the course of his career. Also, as a painter myself, I am always in awe when I look at his work - he captures a sense of the animal that sometimes photographs cannot. What is it that you hope to achieve during your conservation journey? I am hoping to be able to volunteer more in the future, including my goal of saving funds to take with me when I go out to Samboja Lestari next year. However, my main goal is to be able to produce artwork that can be used as a way of enticing others to contribute more to conservation, whether it is eventually used as a marketing technique or that I am able to sell my artwork and donate a chunk of the profits to conservation projects. Why do you think the world needs volunteers? I think the world needs volunteers because we are the only ones who can make a positive impact. Volunteering is an invaluable, massive contribution of money and time that a person donates. If everyone volunteered in some way it could help towards fixing the mistakes we made as a species - destroying the population of other animals and their habitats for the sake of industrial development. At just eighteen, Ellie is a true conservation inspiration, and her touching words reflect the passion, the drive and the dedication that the world needs to bring endangered species back from the brink, as well as preventing any more habitat being destroyed. She has used her incredible talents selflessly to support a cause always in need of help, and we have a great feeling that this sweet, young woman will do great things for wildlife conservation. Share this article with your friends and followers by using the social media buttons below. Wanting to add something to this story or just let us know your thoughts? Just leave your comments below. Please be aware that all comments will be moderated: abusive behaviour or self-promotion will not be allowed. Has this blog inspired you to volunteer? If so, why not enquire today? Simply fill out an enquiry form, and allow a member of our travel team to assist with your query! Please note that blog comments are not monitored by the travel team, so any questions related to bookings may be missed. Nyaru Menteng Orangutan Sanctuary Volunteer Reviews! Find out what Kim, Lucy and Ryan had to say about their time volunteering on the Nyaru Menteng Orangutan Sanctuary Project! Hear about their highlights in this review video. The Nyaru Menteng Honey Dipper Project! Six more orangutans are due to be released back into the wild, thanks to the hard-working team at the Nyaru Menteng orangutan rehabilitation centre! Read on to learn more about each of the candidates who are now preparing for their life in the wild, and find out how you can become an orangutan volunteer at the world's biggest primate rescue centre. See what you could get up to as a volunteer at the Namibia Wildlife Sanctuary! 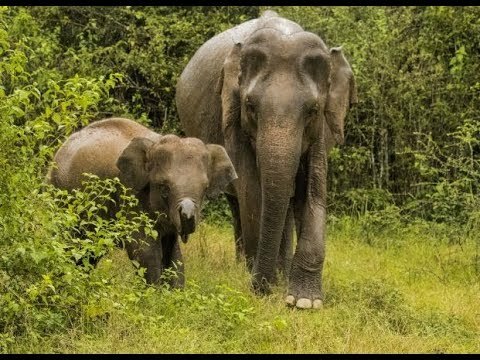 See how you can aid the conservation of the stunning Asian elephant in the wild Sri Lankan jungle when you volunteer on The Great Elephant Project! 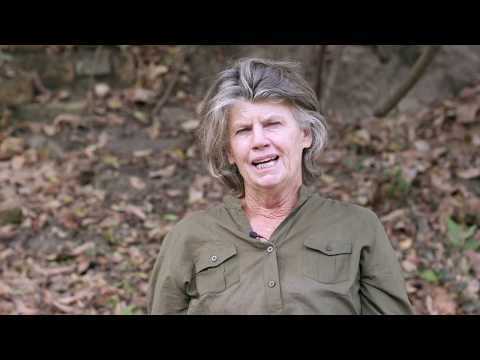 Check out this video where we hear from volunteer Stacey and conservation manager Judy about how valued volunteers are on the Rhino And Elephant Conservation Project. We're Celebrating A Very Special Mother This Mother’s Day! Update From The Rhino and Elephant Conservation Project - A Famous Face Pays A Visit!